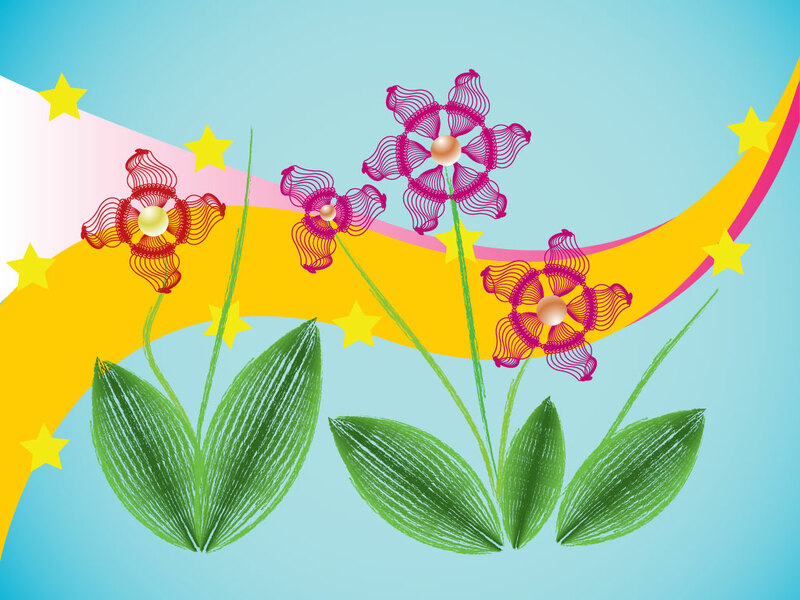 This abstract Spring colored background features a mix of nature and digital themes. Wire frames style flowers and a digital style graphic elements make up a nature design. Download for your background collection as AI and PDF. Tags: Abstract, Computer Art, Digital Art, Floral, Flower, Geometric, Swash, Wire Frame.